Many organic gardeners will quickly tell you compost tea is the best all-around liquid fertilizer you can use on your plants. Compost tea is generally made by collecting finished compost and placing it in a bucket filled with water. The compost and water is allowed to brew for several days in the sun. The liquid is then strained and used to water vegetables, flowers, or lawns. So, you are probably wondering then….. what is manure tea? Manure tea is very similar to compost tea, in fact, it is compost tea but uses composted livestock manure. The manure is collected and composted in the sun over the course of several months. The livestock are raised in pastures that contain native grasses, where the cattle are allowed to graze just as nature intended. Manure teas are used as a soil conditioner in vegetable gardens, flower gardens, lawns and compost piles. Watering plants with manure tea conditions the soil so plant roots can better absorb nutrients. It also provides valuable nutrients, minerals and beneficial microorganisms that supports growing strong and healthy plants. Manure tea can also be added directly to compost piles to accelerate decomposition. Brewing manure tea was once a messy (and stinky) task which consisted of collecting the manure, composting the manure, mixing it in containers, then straining the liquid to get the valuable tea. Many people are turned away by the idea of storing and handling manures in order to get the precious tea. 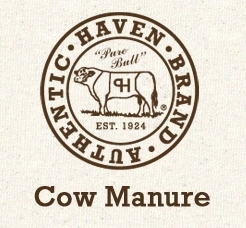 This is where Authentic Haven Brand simplified brewing and using manure teas. 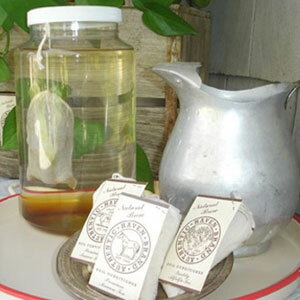 The composted manure is packaged in an all-natural cotton tea bag that makes brewing the manure tea a breeze! You never have to worry about storing or handling manure because it’s all contained in a convenient tea bag ready for use. 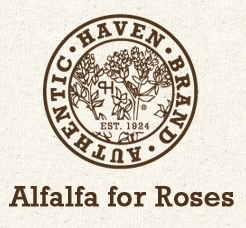 If you would like to view Authentic Haven Brand’s full line of products for the green gardener in mind, please visit our website – Authentic Haven Brand. Wow, you learn something new everyday! I have to admit, I am not much of a gardener but I find this interesting. I found your blog from Focus Society Mastermind contest! Thanks for sharing this, I really had not idea. 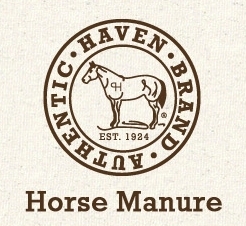 Thank you for stopping by, Authentic Haven Brand “Manure Teas” are 100% natural Soil nutrients safe for all indoor and outdoor plants and it makes a wonderful foliage spray it will not burn your plants. I am a student of grade 8 and i have to make a model on the topic A BETTER WAY TO GROW CROPS.Kindly suggest me something related to manure tea or manure water. Sounds very interesting, never tried using Manure tea but I think I will give it a shot in the spring in my new raised bed. Never heard of this before. I have a worm composting system at home but this is different. First thing I thought was how messy it would be but after reading further I see how the processing part has all been done for you. Can the manure or alfalfa tea be used on citrus trees like lime and meyer lemon? Citrus trees really do well with regular feedings of the cow manure tea. Most all plants get a great root boost with at least one good feeding of Alfalfa tea and roses perform well with a feeding of Alfalfa tea as a first feeding after your last frost and another good feeding before the Fall bloom with feedings of cow or horse manure tea in between. 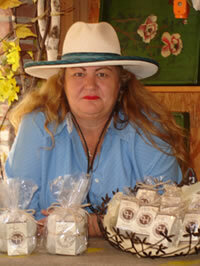 What is the difference between the cow manure tea and using straight cow manure. And how can I be sure that I am getting the same amount of nutrients from the manure tea as I would for “farm-fresh” manure?